The Birla Institue of Technology and Science (BITSAT), Pilani, has released the hall ticket for the BITSAT 2019. BITSAT-2019 Slot booking is enabled for Registered candidates. The BITSAT 2019 Entrance Exam is going to held from 16 to 26 May 2019. The Birla Institue of Technology and Science (BITSAT), Pilani, has released the hall ticket for the BITSAT 2019. The BITSAT is conducting the slot booking process for candidates who applied for the admission of B.Tech in various stream under BITSAT 2019. BITSAT-2019 Slot booking is enabled for Registered candidates. The candidates who have applied for the BITSAT 2019 Admission should visit the official website (bitsadmission.com) now to download their hall ticket. The BITSAT 2019 Entrance Exam is going to held from 16 to 26 May 2019. The candidates having Hall Ticket will be allowed to appear for the examination. 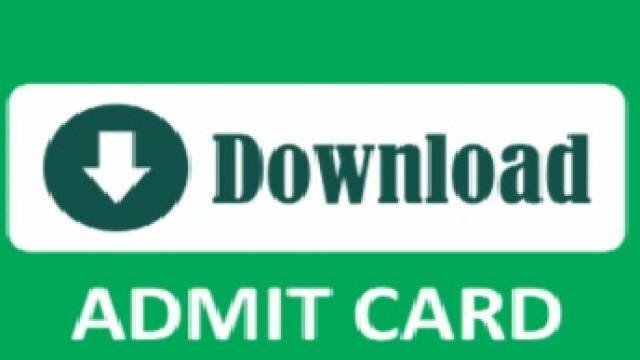 If you are one of those candidates who have applied for the exam should follow the steps mentioned below to download the Admit Card from the official website. ♦ Now click on the link reads "CLICK HERE to download BITSAT-2019 hall ticket." ♦ Enter the required details and click on Proceed button. ♦ BITSAT-2019 Entrance Exam Hall Ticket will appear on your screen. ♦ Download the hall ticket and take a printout for future reference.